OLD PARKED CARS. 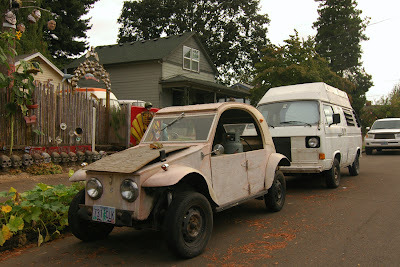 : 1969 Citroen 2CV, Baja? Notice the bumper sticker? Never saw that one before. I was thinking VW for the undercarriage because of the 4 lug wheels. The rear hubs have a Beetle-esque look to them too. 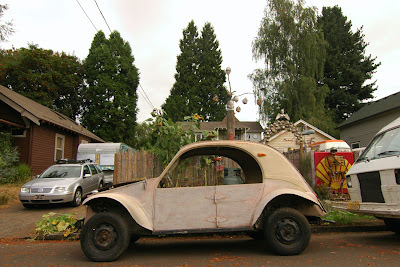 The body is from a pre-1965 Citroën 2CV but engine and chassis look like they are from a Volkswagen ! The asymmetrically mounted headlight system is an impressive feature of this car. What did they do to the Vanagon in the background? 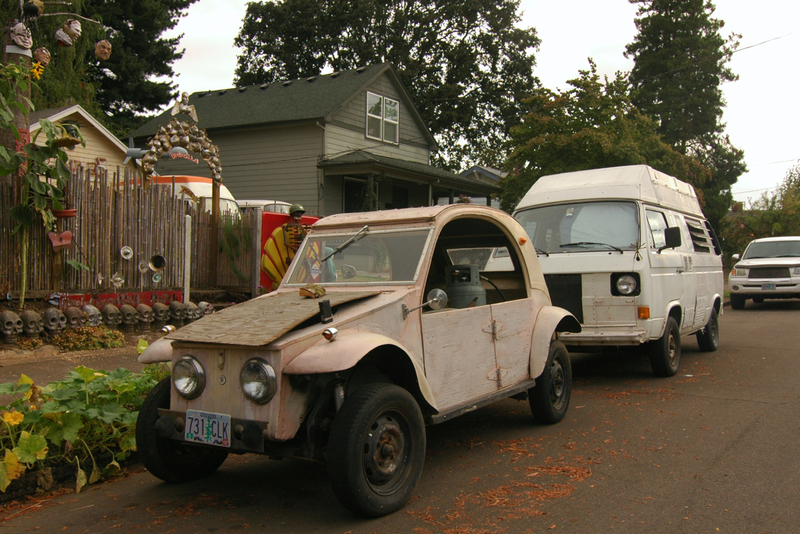 Dodge Van, 2cv thing, messed-up Vanagon; this guy sure has strange taste. Talk about craftsmanship. Best of 2014 for sure. It's such a big gas tank, I want to hear some more thoughts about what that might be doing. Will inspect more closely next time I pass by. Although I'd be surprised if this lives outside during the winter. This thing is pretty interesting, but I like the wooden skulls around the fence even more. Thank God the French no longer sell cars in America. How this thing EVER became popular is beyond me. I'd rather drive a Yugo. 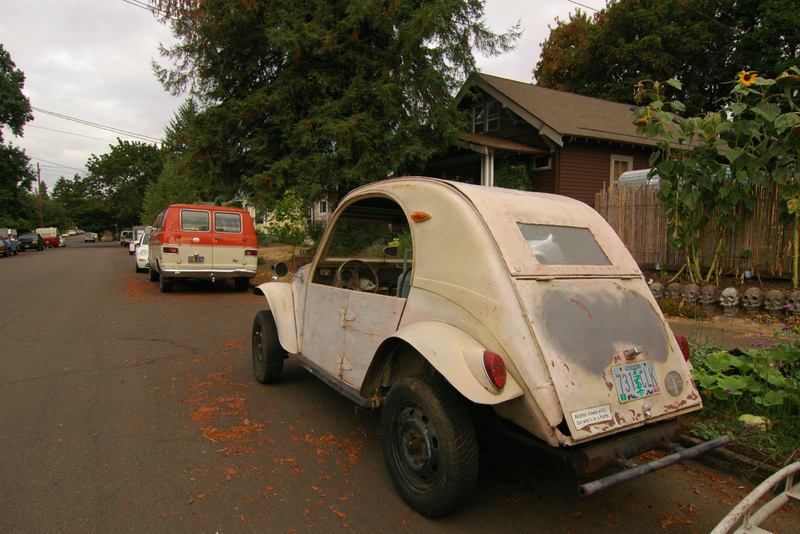 I guess you've never driven a 2CV Eric? Amazing vehicles to the initiated.